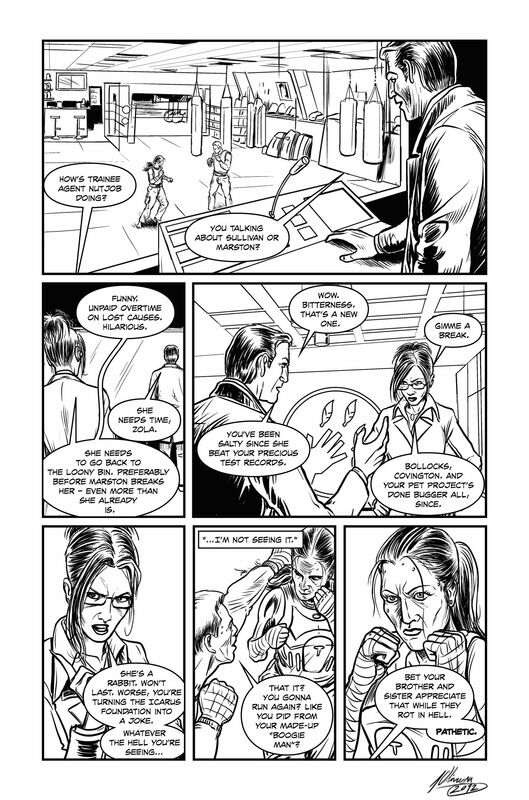 So here’s the first two inked pages (colour still to be added) of the six page comic Fight of Flight from the pen of Jorge Oliveira. 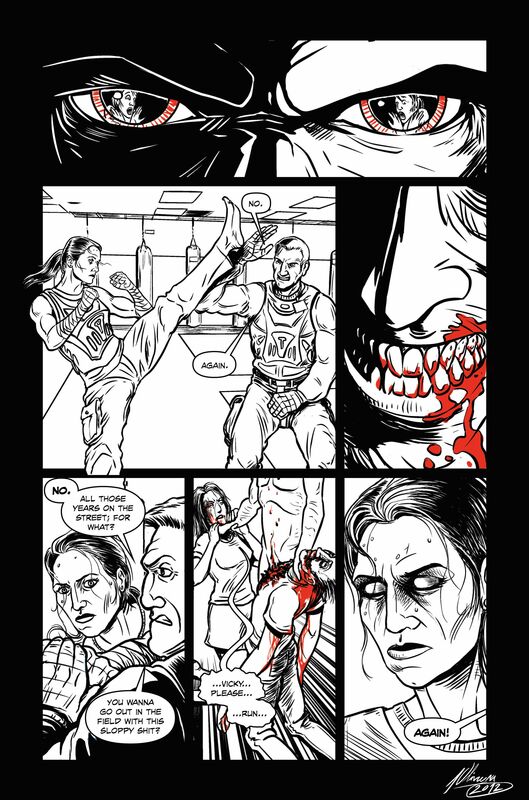 The story, written by Corey Brotherson and lettered by Paul Mclaren is centered around the earlier exploits of Icarus Investigator Victoria Sullivan, who was first introduced in the audio drama ‘Empire of Blood‘ and voiced by Fiona Paul. Obviously we hope Fight or Flight will appeal to fans of the audio drama but if you’ve never listened to an episode before then you need not worry as this story is a standalone adventure. Fight or Flight will be a little extra that we’ll adding to the second Unseen Shadows comic anthology Tales of the Forgotten which is coming soon. ← Read the Four Page Full Colour Preview of ‘Stolen’!